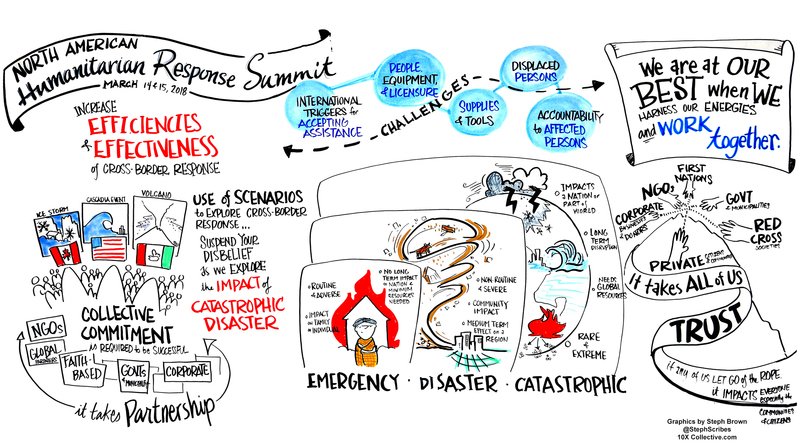 WHAT IS NAHRS: The North American Humanitarian Response Summit (NAHRS) represents a unique effort to improve the effectiveness of cross-border response to a potential catastrophic disaster in North America. NAHRS is implemented by the American Red Cross in partnership with the Canadian Red Cross and Mexican Red Cross, and with the participation of the countries’ respective federal, state, provincial, and local government entities involved in disaster response. 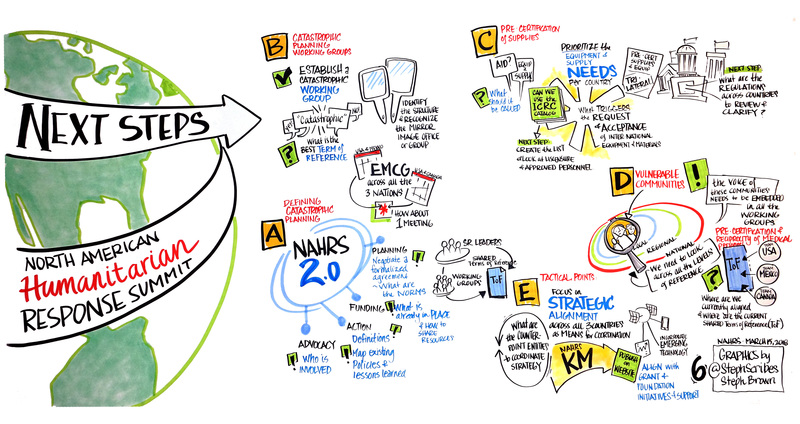 THE NAHRS PROCESS: In September 2017, NAHRS stakeholders met at American Red Cross National Headquarters in Washington, DC to socialize the project's goal and lay the groundwork to achieve its objectives. After the initial convening, the project transitioned to preparatory meetings targeted to the National Societies and Government agencies of Mexico, the US, and Canada. 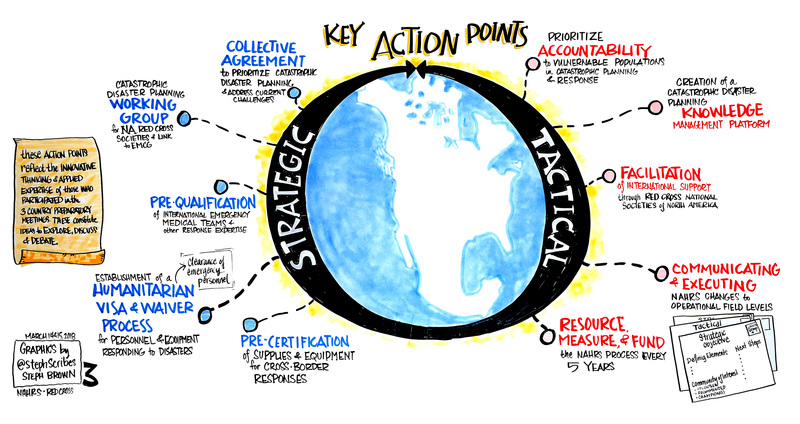 From December 2017 through February 2018, these preparatory meetings focused on country-specific barriers to coordination during major disaster responses, gaps and hindrances in cross-border policy, as well as operational challenges facing North American disaster response practitioners and policy experts. In March 2018, more than 130 attendees from the three National Societies; their respective federal, state, provincial and local government entities; academic institutions and partner organizations gathered at American Red Cross Headquarters in Washington, DC to evaluate the findings of NAHRS. Check back soon for this Summit meeting’s final report. WHAT'S NEXT: The NAHRS project and this website will continue to evolve, with more information about next steps and how you can be involved. Please contact Wendy Ward, Senior Advocacy and Policy Program Officer, American Red Cross, at wendy.ward@redcross.org with any questions or comments. We look forward to your continued interest, participation and support as the project moves into its next phase.